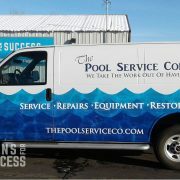 You can get the look of a high-end matte paint job with a matte black or matte dark grey vehicle wrap. Matte black paint jobs were originally inspired by military fighter jets whose black or grey matte paint camouflage an aircraft in the night sky. Although modern aircraft paints may contain compounds that scatter and diffuse radar waves to further camouflage a stealth fighter, car and truck wraps need no such technology to achieve the sleek stealth look. 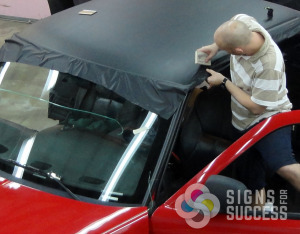 Matte black and Matte grey wraps allow you to get the stealth look without committing to a pricey paint job, or an even pricier matte sports car like this Lamborghini. Only a handful of these were made in matte dark grey to cater to their trendiest customers. 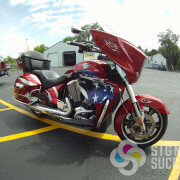 For the rest of us, a color change wrap can make a big statement on a vehicle we already own and love. 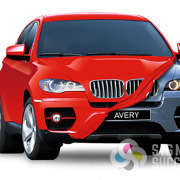 For all color change wraps including matte wraps, we use Avery Supreme Wrapping Film. 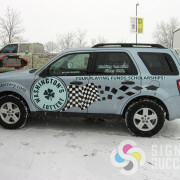 Highly conformable, this car wrap vinyl hugs the curves of a vehicle and creates a smooth paint-like finish. 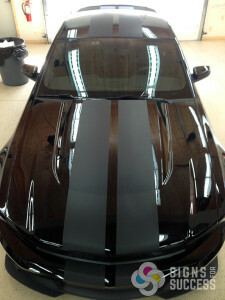 Best of all, the vinyl is removable, which preserves the quality of the paint job underneath. 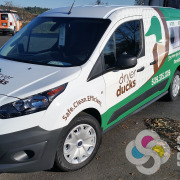 Matte wraps aren’t just for making a personal statement – businesses can take advantage of this cool trend by adding their custom logo graphics to a matte wrap. 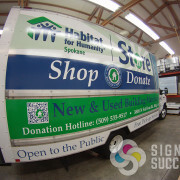 Signs for Success owner John Bogensberger put a matte black and camouflage wrap on his personal truck and added the Signs for Success logo in etched vinyl on the back window. 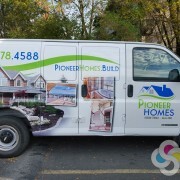 We can even place custom printed graphics on top of a matte background for a seamless vehicle wrap design. 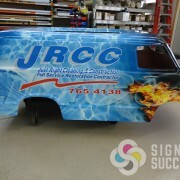 Make your vehicle advertising stand out – paired with your logo and contact information, a matte advertising wrap will really turn heads.